The Indus Civilization or the Harappan, named after the first site found, is a Bronze Age civilization. Being around since 3300 BCE. This amazing civilization was believed to be spread throughout Pakistan, Afghanistan and India. Since the 1920’s over 1,056 such sites have been uncovered. Each location is telling us more about the civilization that lived almost 7,000 years ago along the Indus river. Over the last century, Archeologists have unearthed various things that point to the fact that this was no mere culture. These highly developed people had elaborate drainage systems, water supply systems, and metallurgy. That’s only the tip of what has been unearthed. Their cities, when looked at, are not hap-hazardous but planned urban centers. Here are some things that have been found, some as recent as 1999. The image shows a well planned urban city that was home to thousands over 5,000 years ago. 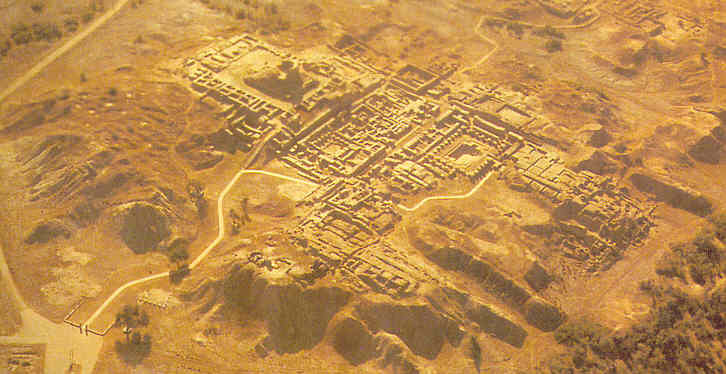 Harappa city is south of Sahiwal in Punjab. This image shows a bathing area in the city of Harappa where the well had clean, fresh water and the dirty water drained away in the dug out drainage system. Seals created over 5,000 years ago. The craftsmanship of these seals the details are simply mind blowing. Mohenjo-Daro is the second city that was excavated of the Indus Civilization; this city is located 20 km from Larkana, in Sindh. We can also see this particular image on the Pakistani 10 Rupee bill. 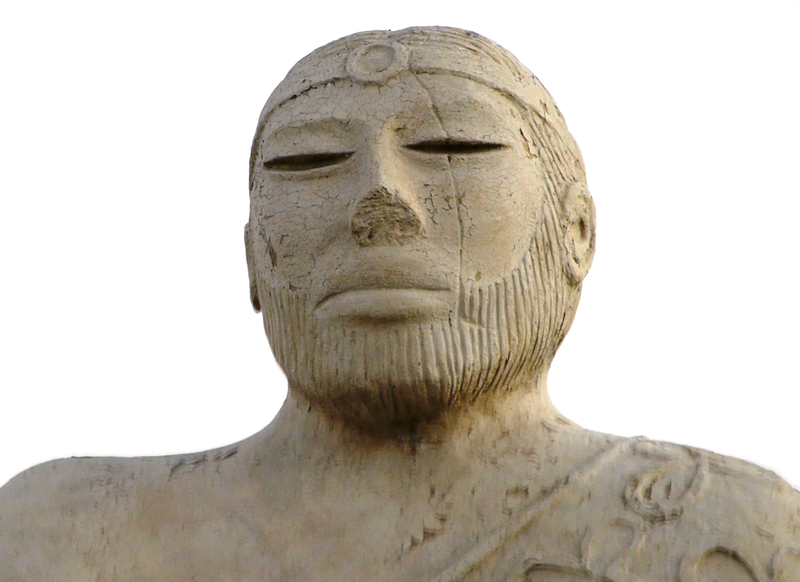 This particular find was excavated in 1926, at the Mohenjo-daro City site. Archeologists believed the great bath was a public water tank, based on the construction of the area. The floor and walls were water tight. Even after thousands of years layers of bitumen can be found (natural tar), lining the walls and the floor. Unearthed in Harappa. Believed to be used for carrying water and food into the village. The Unicorn seal is the most famous seal of the Indus Civilization. They have been found as far as Oman. Merchants and traders used these seals as a method of exchanging goods. They were either traded or used as a stamp. The construction of the seals also indicates that some were even worn, by people as jewelry or as an indication of their status and rank. Various seals have been found over the years, and they provide an in-depth view of the Indus Civilization. They have also helped historians to determine how they communicated, the artistic skills that existed, trade contacts and relations, religious beliefs, and what they dressed like, and how they looked or portrayed themselves. The picture below shows the size of an average Indus Civilization seal. The detail and construction and its ability to remain intact so long is just incredible. Historians believe that this was probably a child’s toy. 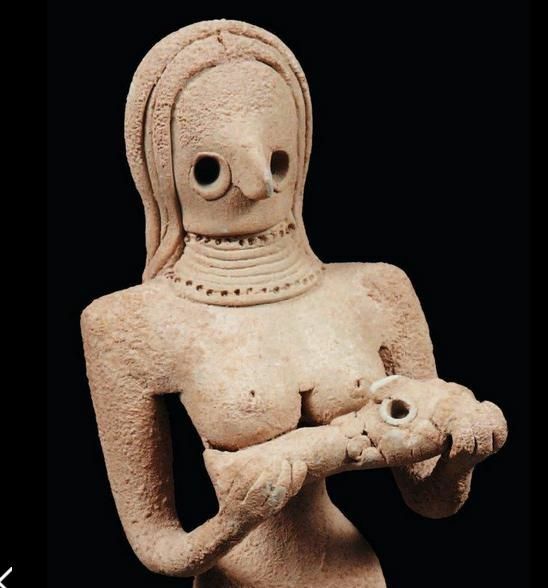 Found in Harappa. This particular necklace is made from gold and three rows of agates stone. Studying the Indus Civilization has revealed that they had a hierarchy system. It is evident through the artwork that has been found. Priests were at the top, and the Courtesan were the people that served them. Those in power were given more human-like appeal while those that served them were not as real, they were depicted in a more fictional way. 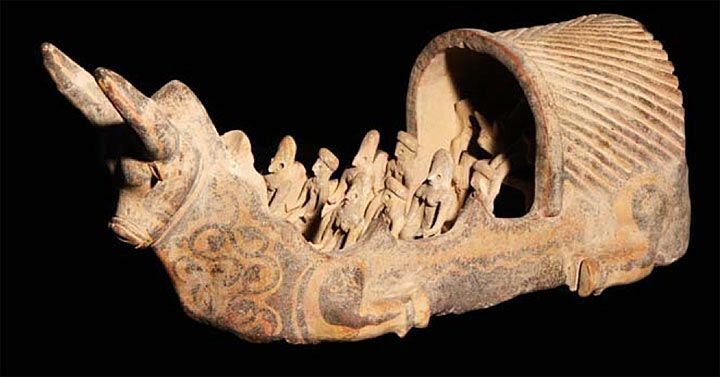 After various artifacts had been uncovered, it was believed that there was a ‘Cult of the Mother Goddess’, that existed during this age. These are just a few of the various figurines found, depicting fertility and the Mother Goddess. That’s one school of thought another is that these figurines that have been found are nothing but toys that had been made for children. Below are a few more figures that were found and that are still debated on, as to what they represent. Created in an average man’s portion. This statue is clothed and has great detail on the face. Historians believe that this was a depiction of the High Preist, who was the highest ranking official. We have merely scratched the surface of understanding this amazing civilization that showed a great deal of intelligence. The knowledge gained by Archeologist and Historians from the excavated sites is still in its infancy, each discovery uncovers a new aspect and numerous new questions.